6 images. 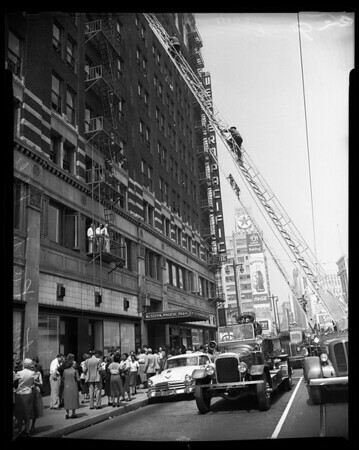 Western Pacific Building fire, 15 April 1954. General views.